- Semi-final series with «Caspian» ended for us ahead of schedule in three games, which we are certainly happy about because now we have a very busy schedule. We have three games on the road in the VTB United League, two of which we have already played in Krasnodar and Krasnoyarsk and are preparing for the match in Kazan. In the break between them, it just happened that we were having matches of the semifinal series. This is not easy, because we have quite difficult flights. In addition, we cannot involve all the players in the National Championship and we have to decide whom to give a rest and who of the players need to be given extra time and how to keep in a tone those who did not play in these matches. As for home matches, they went under our control, from the very first minutes we seized the initiative and already in the first quarter as a rule we achieved a comfortable difference for us and then we had to control the game by making rotation, giving all players the opportunity to spend equal time on the court and do not overload anyone. The game on the road was more difficult because we flew to Aktau on the same day after the flight from Krasnoyarsk and it affected our condition, plus the opponent plays with a different mood and «Caspian» managed to impose a fight on us, they even won the first quarter. Nevertheless, in the second quarter, we proved our superiority in the class by winning it with a difference of 21 points and taking a big break with a comfortable advantage + 15. In a further course, we controlled the pace of the game, made a rotation, allowed each player to prove himself on the court and confidently brought the match to victory. I congratulate our fans and our team with reaching the final and I would like to say that «Caspian» during the season from one game to another has been improving constantly, I think that this team has every chance to compete for the bronze of the National Championship. 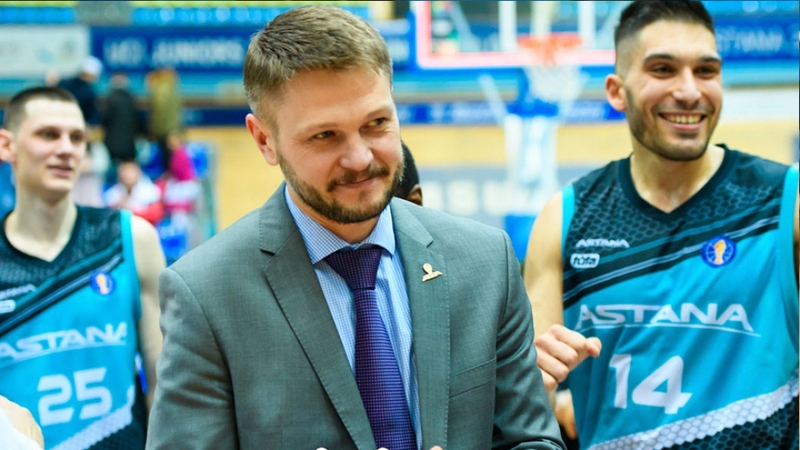 In the nearest future, we are going to Kazan, where we have a key match against one of the leaders of the League of VTB Kazan UNICS, — summed up Mikhail Karpenko. This Sunday, on April 15th a match in the regular season of the VTB United League against the team «UNICS» from the city of Kazan takes place.